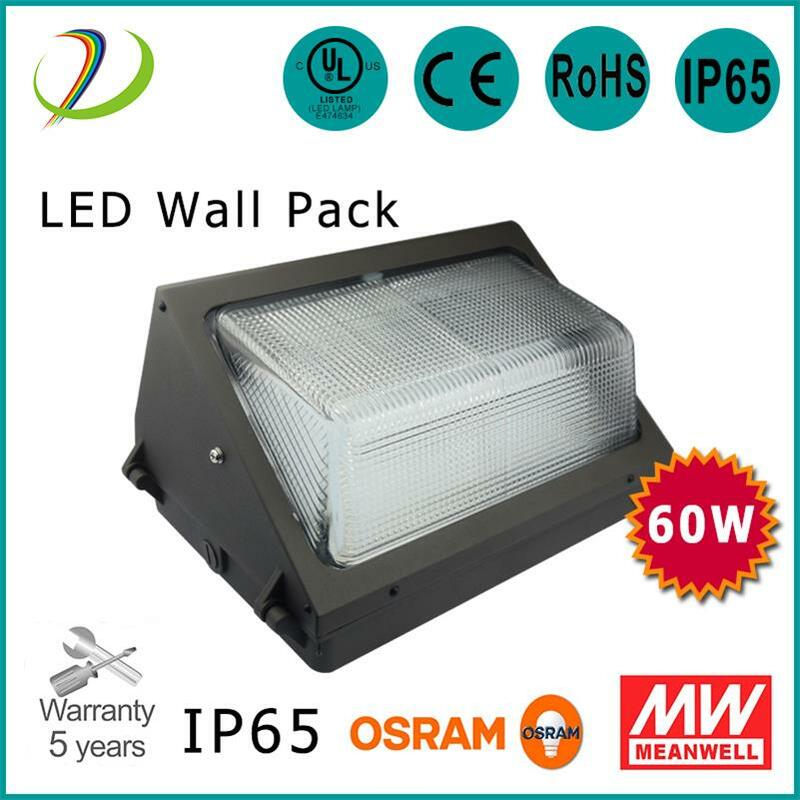 A vantagem da nossa lâmpada de parede LED de 40 W com IP65 à prova de água: pode substituir directamente as luzes de pacote de parede MH. ETL, DLC, CE, Rohs aprovado e 5 anos de garantia. usado para parques, pátios, praças e alguns outros lugares onde precisam de iluminação. o driver de LED e fonte de luz LED são separados, o que é conveniente para instalar e montar.IP65 impermeável.Ele adota alto brilho Epistar 3030 levou chip dentro e até 125 lm por watt, LM80 certificada e driver MeanWell. 3. Driver de LED isolado para desempenho estável. 5. 50000 horas de vida útil, 5 anos de garantia. 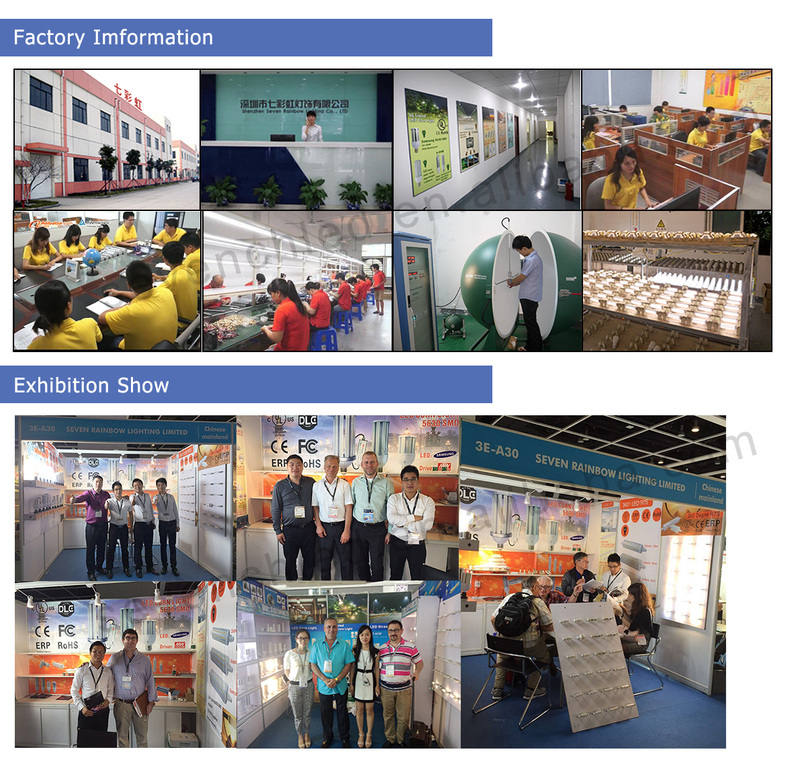 2 High brightness 3030smd, CRI>83, LM80 tested. 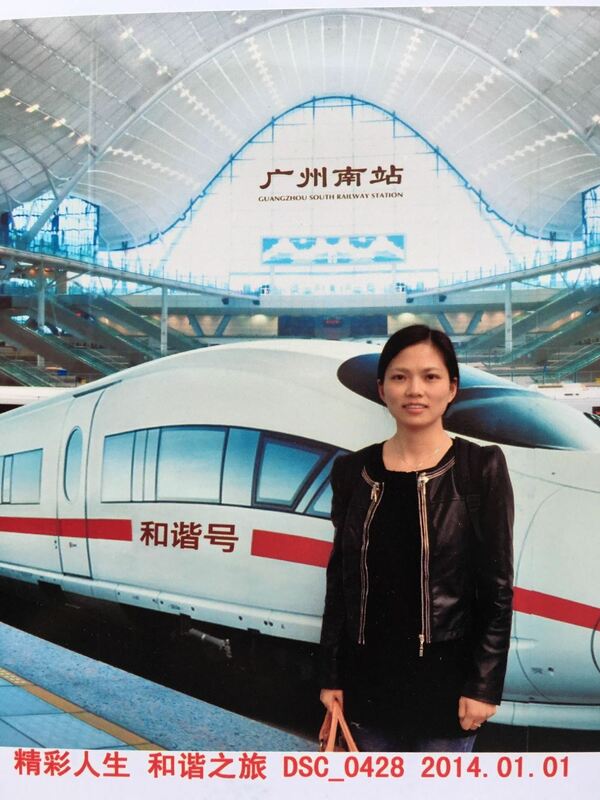 3 Input voltage is AC100-277V, which can be use in the US, Europe and other countries. 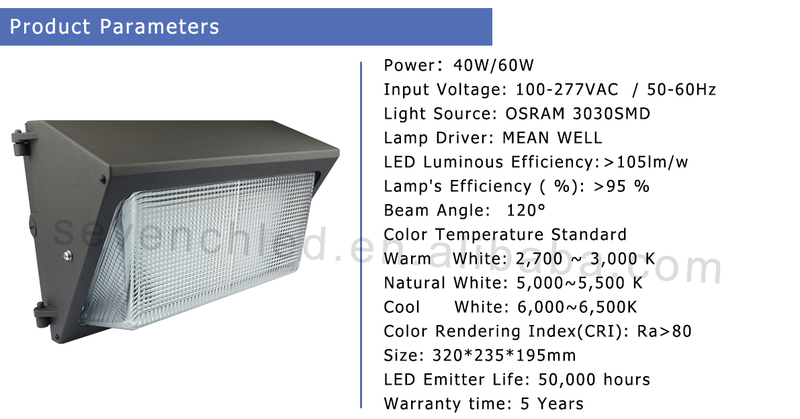 5 Good quality, PF>0.95, CRI>83. 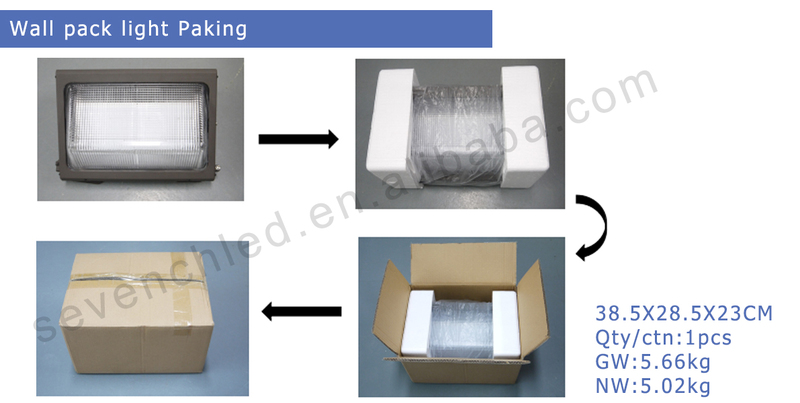 9 48 hours aging test, 5years warranty, ensure the high quality. 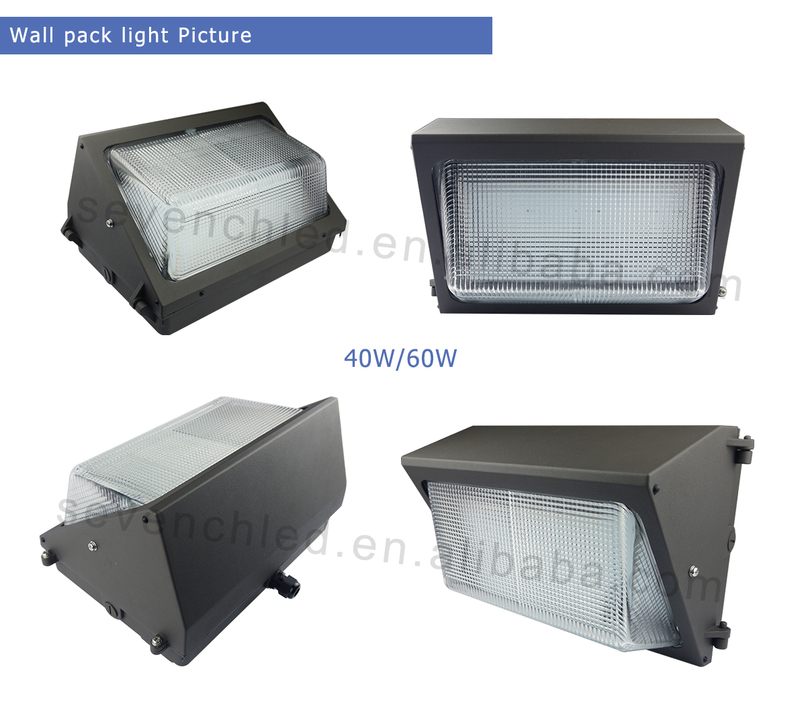 Q1 How to place a order about LED wall pack light? 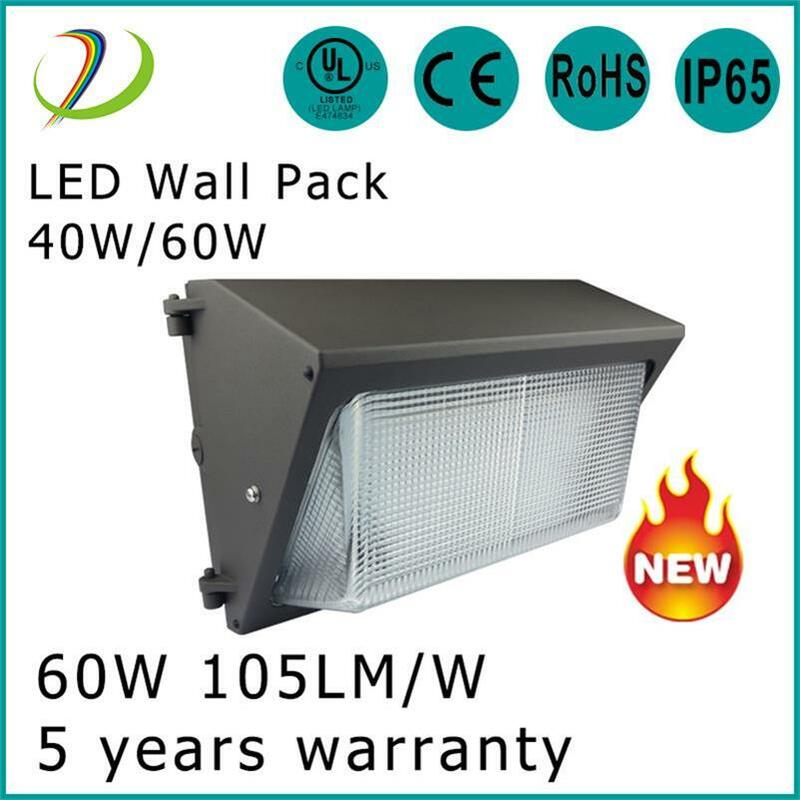 Q2 What is the warranty for our led wall pack light ? 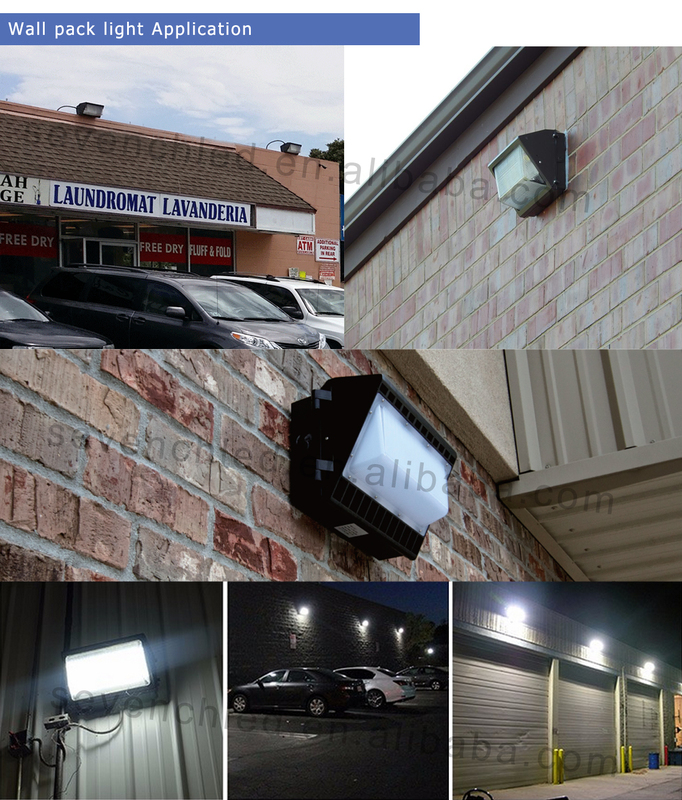 A2 We have 3-5 years warranty base on different led. 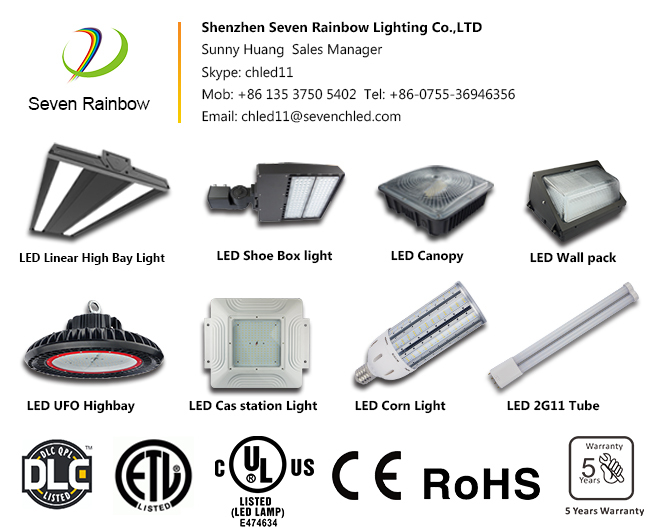 we also have UL/CE/ROHS/etc certifiacte for them. 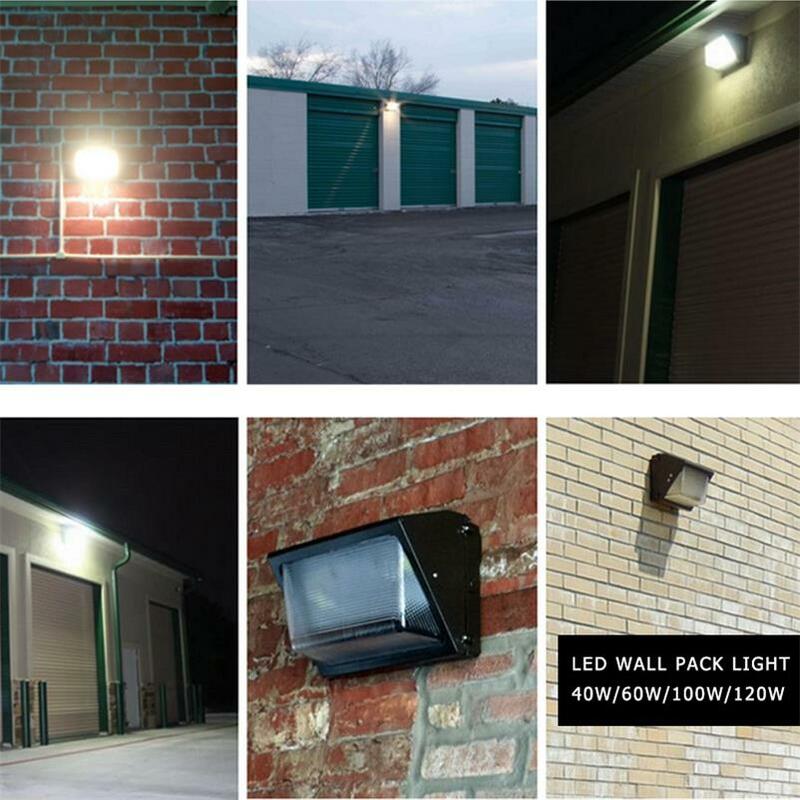 Q3 What is the color temperature forf our led wall pack light ? 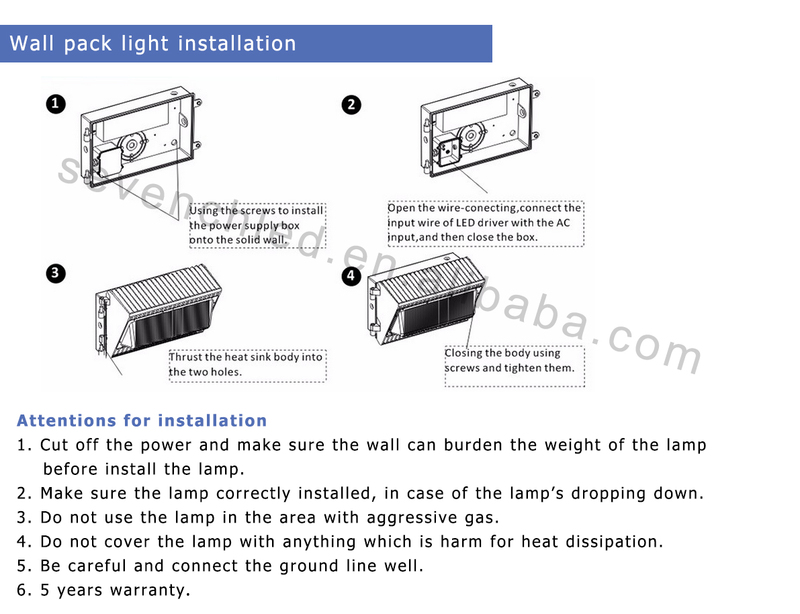 Q5 What is the AC voltage tolerance for our LED wall pack light ? Q6 What is the best shipping way for shipment? 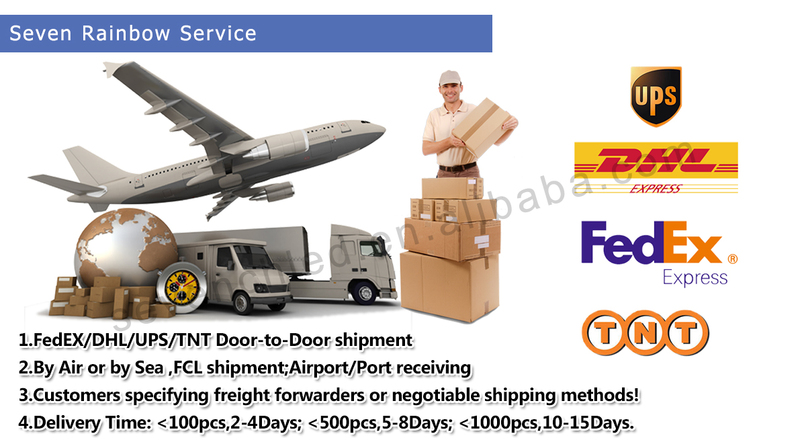 A6 for sample and small order use express fedex,dhl.ups,tnt will be the best.large ordership by FCL shipment if you much time for the goods.